Have you heard about photo-aging? This is a pigment ingredient contained in seed in trace amounts and is a natural carotenoid. This is a rare ingredient which cannot be mass produced and is attracting attention from various fields as a retinoid-like ingredient. This is a plant-derived ingredient that contains natural hydroquinone derivatives extracted from the “mitracarpus” plant which is found in West Africa. 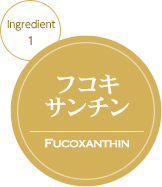 This gives your skin a feeling of transparency by its synergistic effect with fucoxanthin. EGF, the amount of which is secreted decreases with age, is deeply involved in the turnover of skin. The beauty ingredient EGF - born by biotechnology ? releases the beauty inherent in your skin. This product has a rich formulation with 20g of “living EGF and is at a level of quality approved by the Japan EGF Association. There are absolutely preservatives derived from synthetics (e.g. 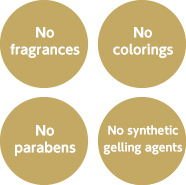 parabens), artificial colorings or fragrances used in the EGFX Bright Cream. The beautiful orange of the cream is a natural color from the fucoxanthin. It is important that EGF, which is now essential in anti-aging care, is “living.” The Japan EGF Association issues “product approved by the Japan EGF Association” labels for EGF products which have cleared various criteria to approve the quality of those products. EGFX Bright Cream is a formulation with 20μg of epidermal growth factor (EGF). Please be sure to feel the difference in quality. Applicant: BEATIFIC CO., Ltd. and BIOLINK HANBAI Co., Ltd.